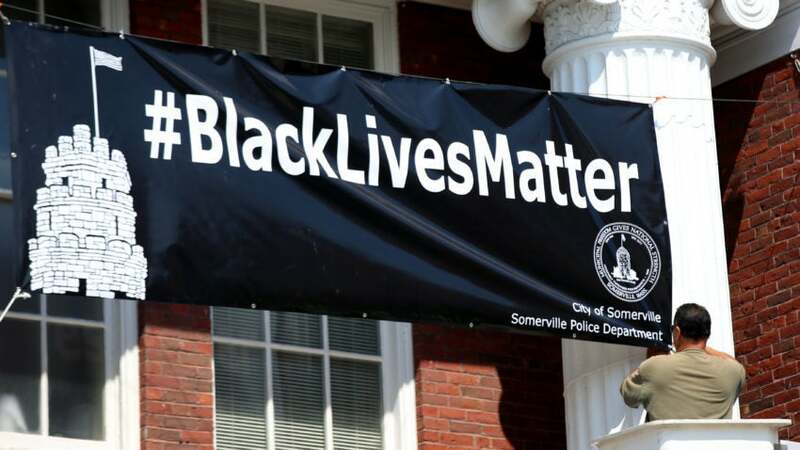 In a Tuesday letter addressed to Mayor Joseph Curtatone, the Somerville Police Employee’s Association, the bargaining unit for 90-95 patrol officers, called the city’s support of the Black Lives Matter movement and the display of the banner “deeply” troubling. “It is as inconceivable to us as it is demoralizing that our City would propagate its support for this movement while standing silent over the seemingly daily protest assassinations of innocent police officers around the country,” the association wrote. Citing what they saw as “fringe elements” of the movement, officers in the association argued that the activists have at times provoked violence against police around the nation, including the recent shooting in Dallas that killed five officers. “The point is that these incidents have incited more than protests; they have incited some within the protest movement to use violence against police officers who had nothing to do with the shootings of black men, and have done so before all of the facts of each case were known,” the letter said. While the association acknowledged that black lives, as well as those of other minorities, matter just as much as white lives, it argued that Somerville’s open support for the movement could imply that the department thinks otherwise. “At the same time, we strongly object to a public banner sponsored by the City that [implicitly] paints police officers as the killers of innocent citizens of color when there is no evidence whatsoever that the police officers in the City are in anyway using their police power in a discriminatory of unlawful way,” the letter said. Instead, the officers asked that the banner be replaced with one that reads “All Lives Matter,” a move they believe would have the mayor standing in solidarity with the police department. The letter didn’t sway Curtatone, who said he doesn’t plan to remove the banner. In addition to the “Black Lives Matter” banner at City Hall, Curtatone said that he also ordered a banner honoring slain law enforcement to hang above the city’s police headquarters, and that both will remain in place. Great example of the rot that has taken over this country. I am with Don Jr., how about making America AMERICA again?? Does anyone think this would have been allowed BC (before Clinton)? ?